We were looking for an overnight spot that was a little more scenic than the normal parks in East Texas. We found Barefoot Bay through our Passport America app. The rate was listed as $14.5 - $19.50. From Google Maps it looked like a good spot. We paid $15.50 for the night which was a good deal for us. At check in the woman was friendly, but another came in and stated that when she saw how many cars were in the parking lot she wanted to go back home (this is there slow time of year, we were told). I guess she does not enjoy her job. There were not that many people there so not sure what she was referring to. Yes, guests are listening to what is being said! We are full-timers in our eleventh year on the road. We recently purchased our third rig, a Tiffin Allegro Open Road. We are still getting used to its handling abilities but found the roads in the park rough and rutted - lots of RV sway. There was plenty of room to navigate in the big pull-throughs area. The site was long and level and the services were adequate. The park does state WiFi at the office so we were not counting on that. We use our own service anyway. 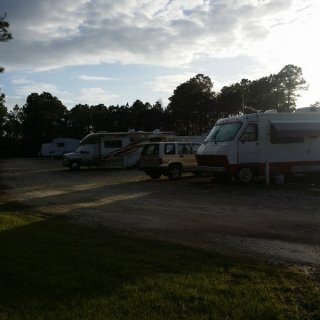 At the time of our stay, most of the RV's were permanent residents. The park says no R's over ten years old unless approved by management. Some RVs were black with mold, ACs hanging out windows and sidewalls, and stuff piled around the RVs. No big deal for us but some RVers don't feel the same way. We enjoyed sitting by the lake watching a few boats come and go on a nice afternoon that was in the upper sixties. The views are pretty, for East Texas. 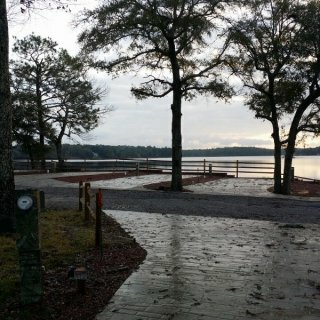 We camped at Barefoot Bay Marina & Resort in a Motorhome. Nice access to a big lake with boating and fishing. We stopped here for an overnight stay to get off the road during an excessive heat spell. There are a few sites that are reserved for transients that are passing through the area. Best to call ahead if you are planning to stop here. We used the 30 amp electric/water site and just used electric. The park was adequate for what we needed. We would normally boondock on a travel day like we had, but it was too hot to do so. 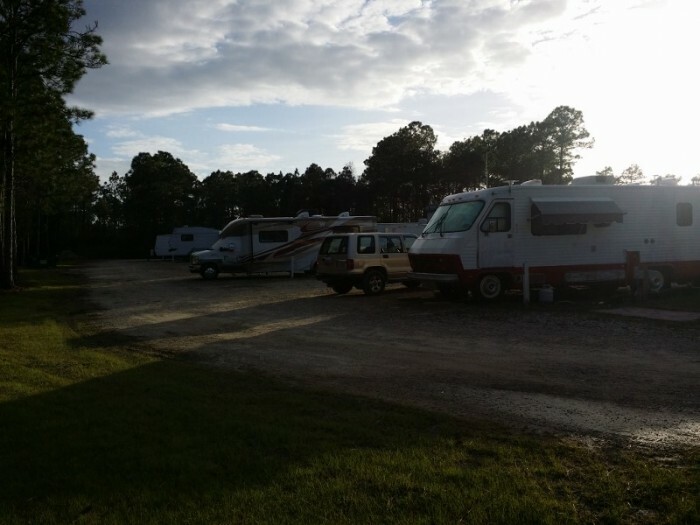 We camped at J.B.'s RV Park & Campground in a Motorhome. There is a truck stop nearby if needed. We stopped at the Pilot just north of the campground right off I-30. We were here for a week to teach a morning session of an NRVIA sponsored event. The folks at the campground are relatively new managers of the park and were very accommodating. We enjoyed the close proximity to the Royal Gorge Bridge Park. 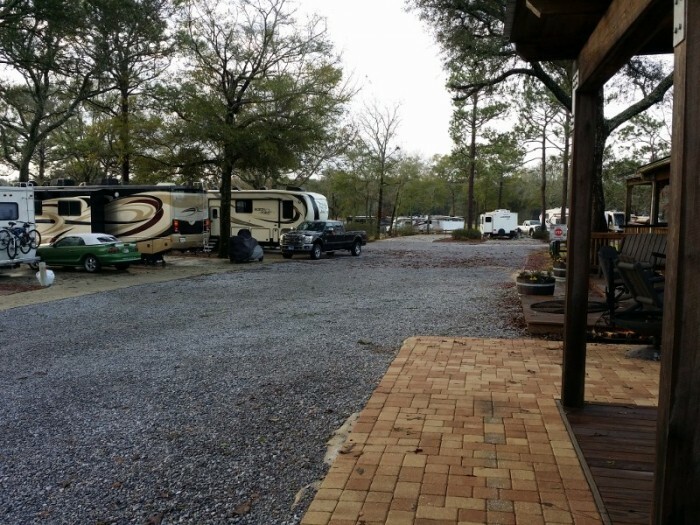 We camped at Prospectors RV Resort in a Motorhome. We were here for a one night stay. We were passing through the area. This was a perfect place for a one night stay while traveling I-57 to I-55 through MO. We camped at Town & Country Camping & RV Park in a Motorhome. We came to visit friends and participate in Corgi Palooza. We only needed water and electric, no sewer, so we took advantage of the special for this type of site. The site was a back-in but we were allowed to pull through another site to get parked. The owner and her son are very accommodating! They have very cute Corgis too! We camped at Elkhart Co. / Middlebury KOA in a Motorhome. We stayed here a month for teaching NRVIA classes, factory tours, and other RV educational activities. THe park is very close to the town of Shipshewana, the weekly flea market, the grapevine bike trail, and eating opportunities which are why many come to town. We camped at Shipshewana Campground - South Park in a Motorhome. We were at Pueblo South KOA for an NRVIA Advanced RV Inspectors Training class. We stayed a week at a group rate. The owner and office manager were most helpful in making our stay enjoyable for us and our fellow inspectors! We had a site on the end of a row with a beautiful view of the southwest view of the mountain range. We camped at Pueblo South / Colorado City KOA in a Motorhome. We stayed here for to teach a morning NRVIA session a 5-day RV Maintenance Tech Course and to teach a 5-day NRVAI advanced RV inspector training class. We were granted use of their rally facility which was adequate for our needs. While there the temperatures hit 103 degrees so the park management allowed us to use an air conditioned room to help the RV inspectors not melt. LOL We would stay again if traveling through the area. We camped at Bakersfield RV Resort in a Motorhome. We stayed here on business doing a morning training session for the NRVIA for a 5-day RV maintenance tech course. The facility is very well manicured and services are nicely placed for easy access. 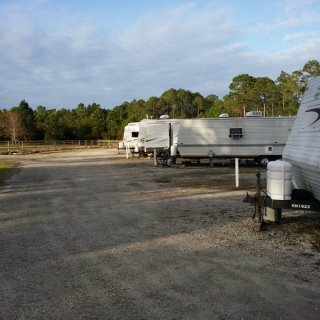 We camped at Hee Hee Illahee RV Resort in a Motorhome. For those that are so inclined, there is a Harbor Freight Store about a half mile from the RV park. We had some occasions to eat out with the students and found eateries nearby for whatever type of food we wanted. Izzy's Pizza was pretty good. It was about two and a half miles from the RV park. We stayed here for five nights to teach an NRVIA advanced RV inspector training class. The park manager was very helpful in securing us a spot to have the class when other RV parks in the Salem area would not. This facility worked perfectly for our needs and we enjoyed our stay. We would return if in the area again. 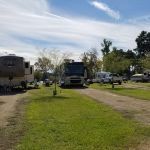 We camped at Emerald Valley RV park in a Motorhome. There is not much in the local area, but one of our RV inspectors found an Italian Restaurant in a nearby town called Mangiare in Independence, OR. It's in a quaint little town where they said you would not expect to find good Italian food. We were traveling through Lake Havasu headed to I-40 and decided to stop for a few days and enjoy the area. We are Passport America members so we chose this park because of the discount program and rate of $21/nt plus tax. At check-in, we were very impressed with the courteous manner in which we were treated and also given a double site for no extra charge to accommodate our RV and trailer. The sites are close together but that did not matter to us as we were there to visit the area, not sit in the RV. 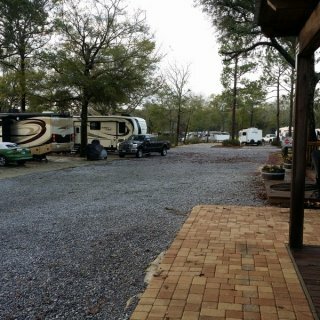 We camped at Campbell Cove RV Resort in a Motorhome. The London Bridge and adjoining sites are 2 miles away and there are lots of water activities to enjoy. We rented a kayak and cruised the river. There is a Mexican restaurant a short walk from the park that has good weekly specials. We stayed for three nights on the PA rate of $20 per night plus tax. There are sixteen sites that are staggered back to back with a road that surrounds the sites. The roads are sandy gravel. All sites have 30 and 50 amp, water and sewer. Services were adequate. No cable, unable to pickup wifi and used PCB over the air TV stations. This location is at the back of the horse stables facility off of Cty Rd 393 between US Hwy 98 and 30A. Close to the beach and a quiet location. The usual long-termers were occupying half the sites. For $20/nt this was fine. We would not pay $40. 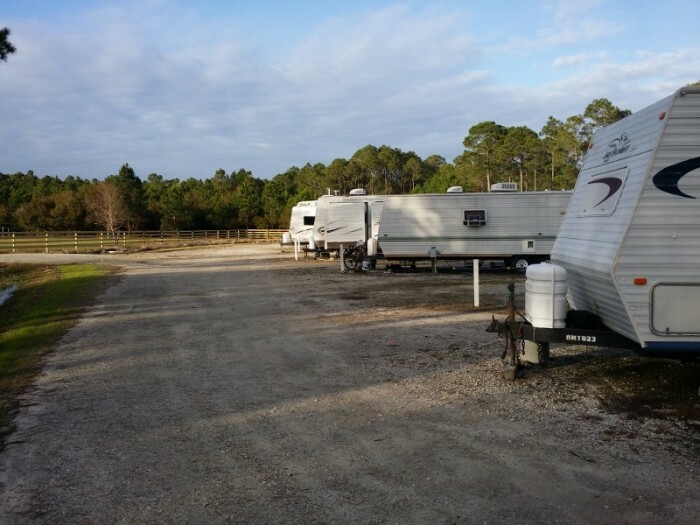 We camped at Arnett's Gulfside Trail Rides, Stable and Campground in a Motorhome. From our RV site to the beach was 1.3 miles, and we walked there. There are places to visit along 30A. 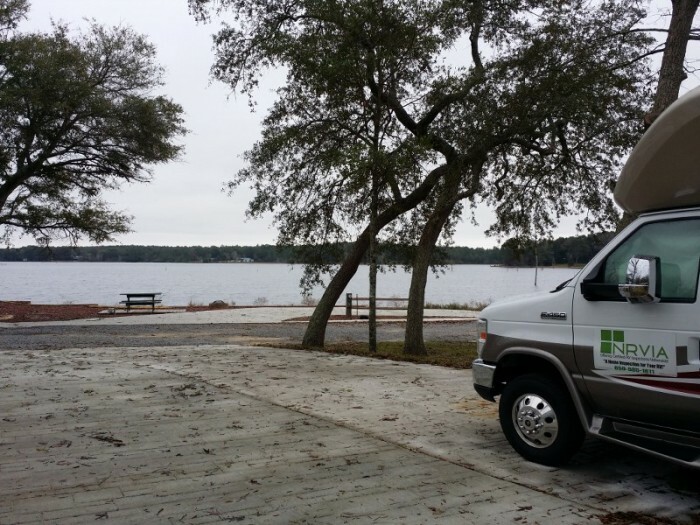 We have spent many visits at this park's sister resort, Camp Gulf. 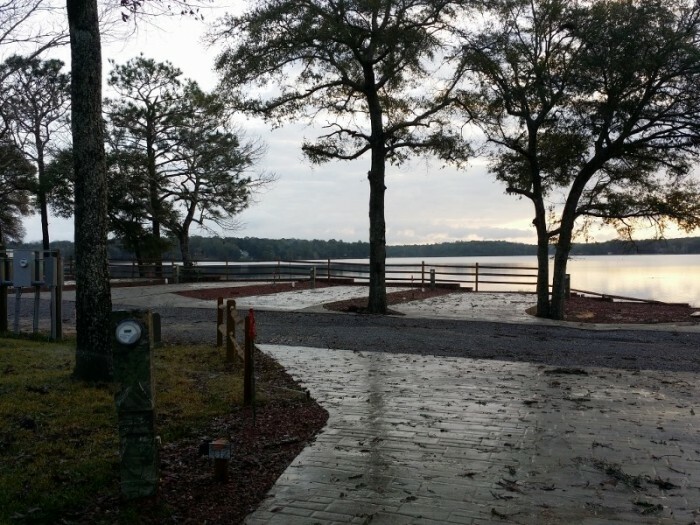 The owner and managers have been working on this park for two years to bring it up to Camp Gulf's standards. 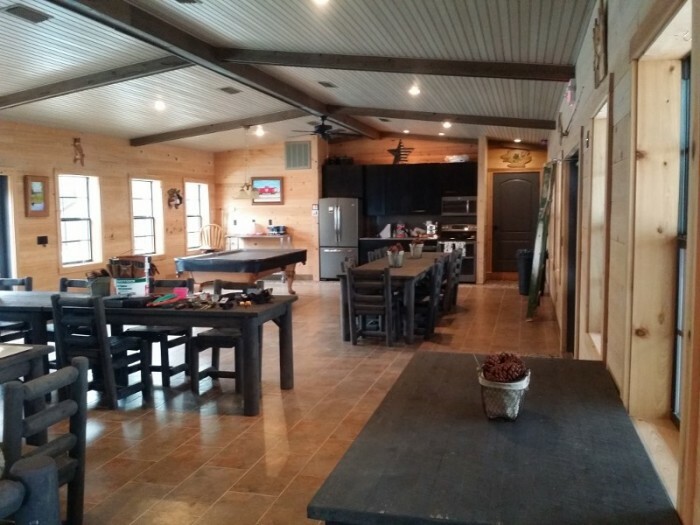 This is a beautiful location in a peaceful location out of town, but only eight miles with easy access. We were there to teach an advanced RV inspector training class, as we will be in February and March. 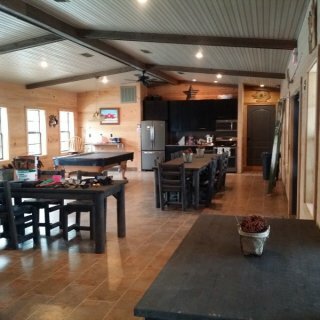 The clubhouse was perfect for our needs! The facilities are brand new, the sites are concrete with services on either side so you can choose which way you want to park and have services where you need them. Most sites have a great view of the lakes and many are lakeside. The managers are most helpful in working with is to make our event a success! We camped at Twin Lakes Camp Resort in a Motorhome. Walmart was six miles from the campground and other amenities are nearby in town. When entering the campground, there is a gate that needs a gate code. That will be on your reservation confirmation when it is emailed to you. 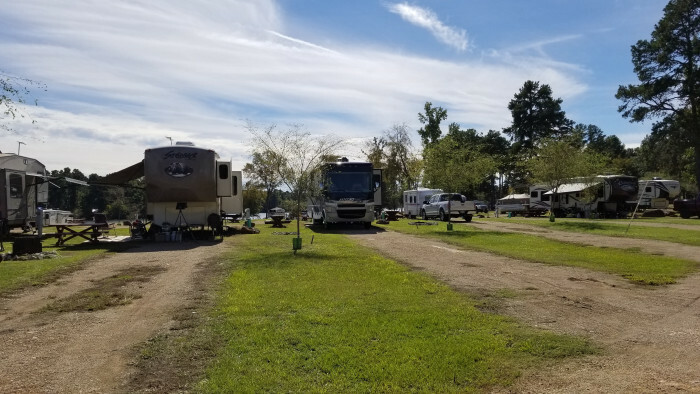 We heard about this park at the Tampa RV Supershow and received some show special rates that we wanted to take advantage of while passing through the area as we were headed to the Florida panhandle. We used a combination of show specials and Passport America to reduce our nightly rate. It was one of the nicer Passport America parks we found in the area. Everything else was older and did not have great reviews. The owner purchased this park seven years ago and started a new big rig area four years ago. He is very agreeable and there to serve! The park is just a mile and a half north of Florida State Hwy 20, so it is easy in and easy out with no tree worries. This is extremely big rig friendly!! There are pull-through sites and back-in sites. If you want a pull-through site just ask. Since most of the services are relatively new there were no issues with them. The sites are roomy and some even have little areas that are covered by four posts and a metal roof. 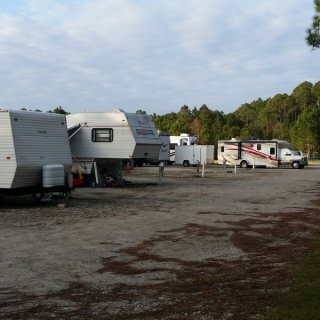 We camped at Suwannee River Rendezvous in a Motorhome. Mayo, Florida is in the middle of nowhere, but there is a Walmart and such about thirty minutes from the RV park. 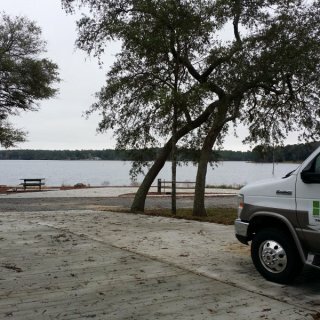 The older portion of the RV park is right on the Suwannee River. You can rent canoes and kayaks to traverse the river. There is also Convict Springs right by the river. When we were there the river had overflowed into the springs but it looked like it would be inviting when the river settles. There is a restaurant right on the property that is open later in the week. The check-in experience was good. We were shown sites that we could choose from. Since we were using the Passport America discount of $18.50 per night, we had to stay in the standard sites right next to I-75. It was noisy with the constant traffic day and night. The site was asphalt but it is very aged and crumbled. Electric, water, and sewer service was fine. There are some nicer sites on the north side of the resort that surround the lake. It is a little quieter in those locations too. 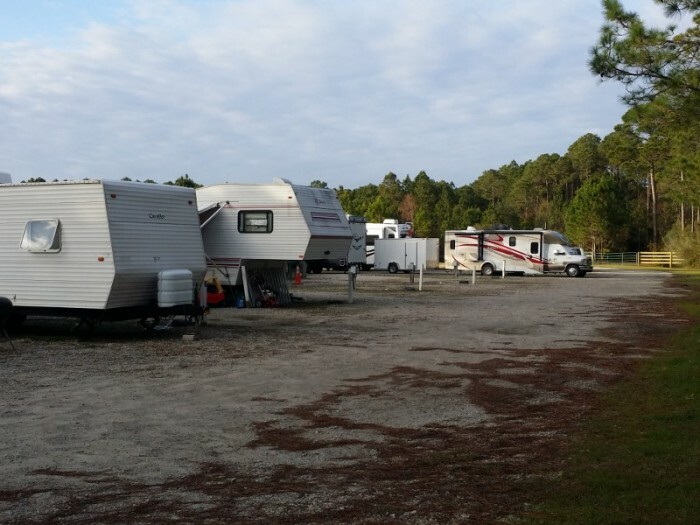 We camped at Winter Quarters Manatee RV in a Motorhome. If you like a true NYC deli, visit Sol's NYC Deli in Sarasota. It is at the intersection of Washington and Main in downtown Sarasota. The cheesecake is the best anywhere!! !